BASILAN (Mindanao Examiner / May 31, 2011) – Limang sundalo ang sugatan sa hiwalay na pagsabog ng landmine sa Basilan province na kung saan ay patuloy ang operasyon ng militar kontra Abu Sayyaf. Hindi pa matukoy kung sino ang nasa likod ng paglalagay ng landmine sa lugar, subali’t Abu Sayyaf ang hinala ng militar. Naganap ang pagsabog kamakalawa habang nagpapatrulya ang mga tropa sa bayan ng Sumisip. Ngunit ang naturang bayan ay kuta rin ng rebeldeng Moro. Agad naman nailikas patungong Zamboanga City ang mga sugatan upang mabigyan ng lunas sa pagamutan ng militar sa Western Mindanao Command. MANILA, Philippines (Mindanao Examiner / May 30, 2011) – The Mindanao Development Authority said Monday that more developments and better paradigm on rural banking are expected from the country’s rural banks before the year ends. It said the recently concluded national conference attended by representatives from different rural banks in the country introduced the latest trends in international rural banking system. The conference was conducted by the Rural Bankers Association of the Philippines and Microenterprise Access to Banking Services (RBAP-MABS). Secretary Luwalhati Antonino, head of the Mindanao Development Authority, said the efforts of RBAP-MABS and Rural Bankers Research Development Foundation have contributed immensely to the achievements of the overall national goals of sustainable growth and development. enhance the capabilities and initiatives of the rural banking industry to reach to the still untapped segment of the rural sector,” Antonino said. The MABS Program, which is implemented under the oversight of Mindanao Development Authority, is one of the programs funded by the United States Agency for International Development and covered by the Mindanao Peace and Development Assistance agreement between Manila and Washington. Antonino said that the participation of rural banks from Mindanao in the conference indicated the strengths and developments of the rural banking system in the southern Philippines and its determination to upgrade for the benefit of their communities. MANILA – The Philippines’ largest national flag carrier, Cebu Pacific (CEB) slashed its fares with a 50% off seat sale to all international and domestic destinations from May 31 to June 3 or until seats last. This is for travel from August 1 to October 31, airline executives said on Monday. “We are putting more than 500,000 seats on this system-wide seat sale. We are also extending the seat sale period to five days to give more people the opportunity to book CEB’s trademark low fares,” CEB Vice President for Marketing and Distribution, Candice Iyog, said in a statement sent to the Mindanao Examiner. She said CEB offers its 16 international destinations - Bangkok, Beijing, Brunei, Busan, Guangzhou, Ho Chi Minh, Hong Kong, Incheon, Jakarta, Kota Kinabalu, Kuala Lumpur, Macau, Osaka, Singapore, Shanghai and Taipei - in the seat sale. It also flies to 33 domestic destinations including top tourist destinations like Boracay, Cebu, Laoag, Clark, Puerto Princesa, Coron, Siargao, Surigao, Dumaguete, Cagayan de Oro and Davao. 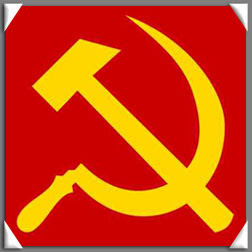 DAVAO CITY, Philippines (Mindanao Examiner / May 30, 2011) – Three government soldiers were wounded in a clash with communist rebels in the southern Philippines, officials said Monday. Officials said weekend fighting in Davao Oriental’s Cateel town lasted over four hours. The clash erupted in the village of Aliwagwag where patrolling troops were sent to check on the presence of New People’s Army rebels. After the fighting, troops recovered five high powered firearms, improvised landmines and component parts of improvised explosives, subversive documents and personal belongings left behind by rebels. Officials said two rebels were reported killed in the clash. 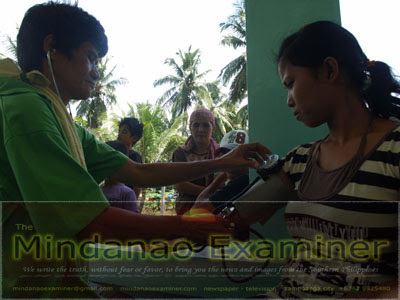 MAGUINDANAO, Philippines (Mindanao Examiner / May 30, 2011) – Philippine soldiers held a medical mission on a village in the southern province of Maguindanao, benefitting more than 400 people, officials said Monday. Officials said the soldiers, who were members of the Philippine Air Force’s Tactical Operation Group 12 under 3rd Air Division, also provided free medicines to villagers in Kusiong in Datu Odon Sinsuat town. The weekend humanitarian mission was part of the air force’s commitment to community, officials said. 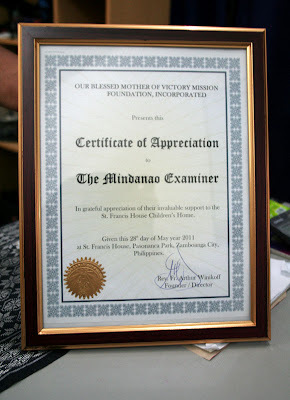 ZAMBOANGA CITY, Philippines (Mindanao Examiner / May 30, 2011) – The regional newspaper, Mindanao Examiner, was awarded a plaque of appreciation by the orphanage St. Francis House Children’s Home in Zamboanga City in the southern Philippines. The plaque was in recognition for the newspaper’s support to the advocacy of the 24-year old St. Francis House which is being run by Our Blessed Mother of Victory Mission Foundation Inc.
“In grateful appreciation of its invaluable support to the St. Francis House Children’s Home,” the reads the plaque which was signed by its Canadian founder Rev. Fr. Arthur Winikoff. Several media outfits and journalists were also awarded by the St. Francis House Children’s Home. 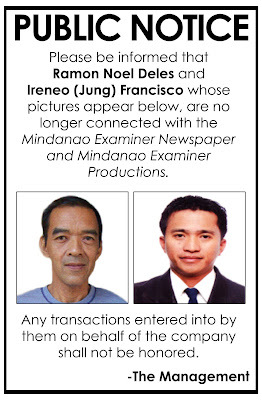 Among them were Felino Santos, editor of Zamboanga Peninsula Journal; Roy Ramos, editor of Daily Zamboanga Times; JV Faustino, editor of Zamboanga Today. COTABATO CITY, Philippines (Mindanao Examiner / May 29, 2011) – New People’s Army rebels have freed two government soldiers on Sunday, ending 44 days of captivity in the southern Philippines. Isabel Santiago, a spokesperson for the NPA’s Herminio Alfonso Command, said the soldiers - Corporal Delfin Largo Sarocam and Private First Class Jayson Burgos Valenzuela, were freed in the town of Magpet in North Cotabato province. The soldiers, who are members of the 57th Infantry Battalion sent to fight insurgents in Mindanao, were captured on April 14. They were released on humanitarian grounds after their families and other multi-sectoral groups appealed for their freedom. Santiago said soldiers should have been freed earlier, but continued military operations against the NPA prevented the rebels from releasing them. The 4th and 6th Infantry Divisions have launched operations to rescue the soldiers despite appeals made by their families to halt the missions because it could jeopardize the safety of the soldiers. “In contrast to the intransigence of the Philippine Army, the New People's Army gives value to humanitarian appeals. The POWs' release would have been much earlier had these Philippine Army Divisions immediately heeded the clamor of their families, the various people's organizations and well-meaning individuals. The enemy's full combat operations designed as a ‘rescue mission’ ended in complete failure and only succeeded in prolonging the POWs' captivity,” Santiago said in a statement sent to the regional newspaper Mindanao Examiner. The two infantrymen were being investigated for possible violations of human rights in the course of their anti-insurgency campaign, but the rebels suspended the probe because of the appeals made by the soldiers’ families. “As the people's army continue to intensify its tactical offensives alongside the implementation of the revolutionary land reform and the building of the mass base and local organs of democratic political power in the countryside, it shall also continue to exercise its revolutionary authority to arrest and capture enemy officers and personnel in the course of the civil war in the country,” Santiago said. CEBU,Philippines (Mindanao Examiner / May 29, 2011) - Mokabat sa 451 ka mga pinuy-anan sa Negros Oriental ang makabenipisyo sa bag-ong program sa Department of Energy(DOE) nga gitawag ug Solar Homes Program. Kining maong mga pinuy-anan nahimutang sa 16 ka mga sitio sa mga lungsod sa Pamplona, Siaton, Santa Catalina ug siyudad sa Tanjay. Matag usa sa mga naila nga mga solar homes makadawat ug usa ka solar panel, upat ka LED lights ug laing usa ka built-in Am-FM nga radio, kini matud sa usa ka reporter gikan sa Visayan Daily Star. Matod pa, matag usa ka solar panel adunay load capacity nga 30 watts – mamahimong gamiton sa pagpasiga ug suga apan dili sa pagpaandar ug mga appliances. Ang mga LED lamps usab nga maghatag ug mas kusog nga siga samtang ubos ang magamit nga kuryente maoy girekomendar nga gamiton sa mga solar homes alang sa pagdaginot ug enerhiya. Ang mga solar panels gituohang ipang-apod-apod sa ikatulong kwarter karong tuiga human makompleto ang tanang gikinahanglang requirement sa programa. Matag usa ka solar panel nagkantidad ug P23,000 apan ihatag ug libre ngadto sa mga Solar Home beneficiaries nga nagpuyo sa mga lagyong dapit sa Negros kung diin dili kini maabot sa elektrisidad. Adunay mga representante sa DOE ang makighinabi kang gobernador Roel Degamo alang sa panagsabot-sabot kabahin sa programa ug sa panahon nga mamahimong ipang-apod-apod ang mga materyales. Matag usa sa mga solar panel itaod sa DOE technical team sa atop sa matag pinuy-anan aron aduna kini direkta nga exposure sa adlaw. 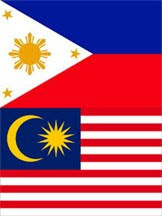 DAVAO CITY, Philippines (Mindanao Examiner / May 29, 2011) – Two government soldiers were wounded in clash with communist rebels in the southern Philippines, officials said on Sunday. Officials said the fighting erupted in the village called Cabasagan in Davao Oriental’s Boston town on Saturday afternoon. The soldiers were patrolling when New People’s Army rebels attacked them, said Lieutenant Colonel Lyndon Paniza, a spokesman for the 10th Infantry Division. “The army patrol was responding to reports by civilians to the presence of New People’s Army bandits in the area when our soldiers were attacked,” he said. He said the attackers were also behind the killings of civilians – Rosalinda Clata, 55, and Memilyn Moreno, 13, earlier this year. He did not give further details about the twin murders, but claimed rebels were harassing and extorting money from villagers and traders in the town. 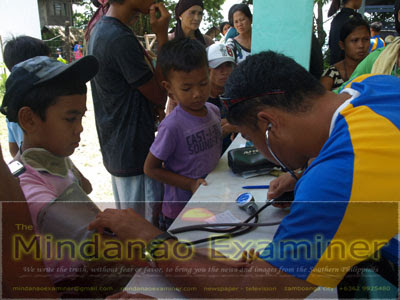 ROXAS CITY, Philippines (Mindanao Examiner / May 29, 2011) - Desidido ang matag-as nga mga pinuno sang Syudad sang Roxas nga ipatuman ang ordinansa sang Syudad nga nagadumili sa pagpanigarilyo sa pampubliko nga mga talatapan kag lugar lakip na sa pampubliko nga mga salakyan. Suno sa kay City Legal Officer Attorney Joseph Ador Ramos nga pinaagi sa ila gintukod nga Smoke-Free Task Force nga amo ang nagapatuman sang ila masangkaron nga kampanya, labi nga maproteksyonan ang kabuhi indi lang sang nagapanigarilyo kondi lakip man ang nagahaklo sang aso gikan sa mga nagasigarilyo. Suno pa sa kay Ramos nga wala sapayan nga may kinamatarong ang isa ka persona sa pagpanigarilyo, may kinamatarong man ang Syudad sa paghatag proteksyon sa inosente nga mga persona ilabi na para sa ikaayong lawas, rason nga hugot nila nga ginapatuman ang amo nga ordinansa diri. Base sa rekord sang City Health Office, kapin na sa 74 ka mga persona ang nagkaladakpan bangud sa pagpanigarilyo sapampubliko nga mga lugar sumugod sang implementasyon sini sang Abril 25 tubtob Mayo 25. Nagalaum naman ang Syudad sang kooperasyon sang mga pumuluyo pinaagi sa pagsunod sa amo nga ordinansa agud mapaiway ang ano man nga mga penalidad angut sa paglapas diri. 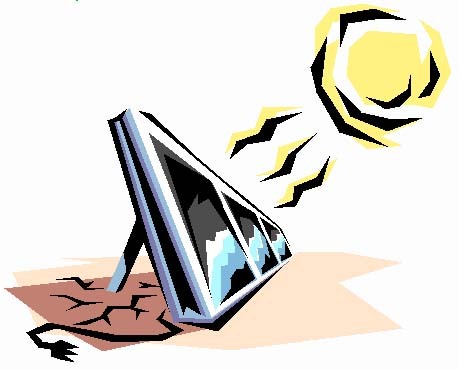 ZAMBOANGA CITY, Philippines (Mindanao Examiner / May 29, 2011) - The website of one of the leading television networks in the Philippines has been hacked by a username “D4RKB1T”. GMA-7’s website - gmanews.tv, its Facebook and Twitter accounts have been simultaneously hacked on Sunday Morning. Users are redirected to google.com whenever they tried to enter the network’s website. “GMA HACKED BY D4RKB1T,” was displayed on the network’s official Facebook fan-page. The hacker however had managed to explain why he hacked the sites. “This is not about stupidity, but a message to webdevs [website developers]. Learn to secure your sites, user accounts and passwords with personal information are being stored there. We have to be ready for such cyber terrorism,” the hacker’s statement posted at the GMA’s fan-page. “No ‘database’ was altered or removed. “I did not intend to make damage, just make the devs listen! They never respond to my messages telling them about the security hole,” the hacker said. The hacking lasted for more than 30 minutes. ZAMBOANGA CITY, Philippines (Mindanao Examiner / May 28, 2011) – Militant labor group Kilusang Mayo Uno has blamed Filipino leader Benigno Aquino III for the worsening unemployment in the Philippines. It cited a recent survey by the Social Weather Stations that showed an increase in the number of the unemployed in just four months. 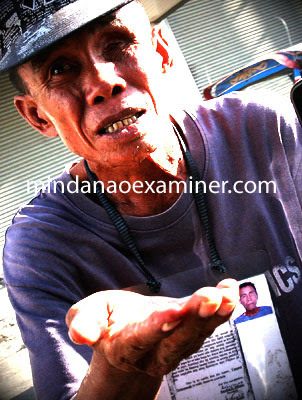 KMU said the latest survey highlighted Aquino’s lack of a comprehensive employment policy. The latest SWS survey revealed that unemployment rose to 27.2 percent (11.3 million) in March this year from 23.5 percent (9.9 million) in November 2010. “We condemn this President who just sits on the job and enjoys riding his Porsche, playing the PSP, collecting guns and dating women while millions of Filipinos are losing jobs and add to the already huge ranks of hungry stomachs. He is living the rich bachelor’s life while allowing big foreign and local capitalists attack employment opportunities in the country,” Roger Soluta, KMU secretary-general, said in a statement sent to the Mindanao Examiner. “This President not only refused to implement a significant wage hike to give immediate relief to the Filipino workers and people amidst skyrocketing prices, he is proving unable to provide decent employment to Filipinos. All he has, judging from his government policies, are employment opportunities in the government’s infrastructure programs,” Soluta added. He said the Aquino government systematically attacks workers’ job security and trade-union rights by promoting ‘contractual jobs’ to satisfy big foreign and local capitalists’ greed for huge profits. “If President Aquino continues to play deaf towards workers’ and people’s calls for stable and decent employment, while conniving with big foreign and local capitalists in exploiting the people, the Filipino workers and people will sooner or later call for his removal from his present job,” Soluta said. But Manila said it has programs that address poverty situation in the country and as a matter of fact, with the entry into force of the $ 434-million (P20 billion) Millennium Challenge Corporation (MCC) grant, the government’s thrust of reducing poverty through economic growth will now take off, specifically in some 103 municipalities nationwide. United States Ambassador to the Philippines Harry Thomas congratulated his government would continue to support the Aquino administration in its fight against corruption and poverty as it looks forward to the continued transparent implementation of the MCC compact grant that will benefit millions of poor Filipinos. ”This grant is a testament of the U.S. government’s support for the Philippine government and its reform agenda,” he said. The 103 municipalities will be picked from 300 towns in 26 provinces that will be included in the selection process, a U.S. Embassy statement said. “The 103 new beneficiary municipalities, to be determined by drawing of lots, will receive grants from MCC to implement their anti-poverty projects,” the statement added. 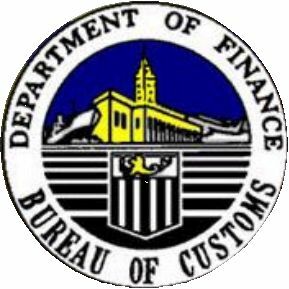 The Compact is intended to fund three projects, namely: The revenue administration reform, which aims to raise tax revenues and reduce tax evasion and corruption through reforms at the Bureau of Internal Revenue, and the modernization of the revenue collection system with approximately $54.4 million funding. The $214.4-million secondary national roads development, which aims to reduce transportation costs and improve access to markets and social services through the rehabilitation of a 220-kilometer road segment on Samar island; and the $120-million Kapit-Bisig Laban sa Kahirapan-Comprehensive and Integrated Delivery of Social Services, which aims to improve social services for the poor and strengthen the capacity of local communities to lift themselves out of poverty. MANILA, Philippines (Mindanao Examiner / May 28, 2011) - A Philippine organization of former political prisoners on Saturday denounced the granting special privileges given to wealthy prisoners in jails. The Samahan ng Ex-Detainees Laban sa Detensyon at Aresto or SELDA said in the light of the recent news that members of the Ampatuan clan accused of the 2009 ‘Maguindanao massacre’ and former Batangas Governor Antonio Leviste, convicted of homicide, were given special privileges under detention. Members of the Ampatuan clan are accused of getting special privilege in Camp Bagong Diwa in Taguig City, and Leviste at the National Bilibid Prisons in Muntilupa City. Bonifacio Ilagan, SELDA’s vice chairman, said the cases are classic examples on the varying treatments given to prisoners, especially to those who are wealthy, as compared to the situation of the thousands of inmates, including political prisoners, in the two detention facilities. “While Leviste and members of the Ampatuan clan enjoy VIP treatments, political prisoners, for example, in the Medium Security Compound in the NBP, and in detention facilities in Camp Bagong Diwa, are in detention cells together with inmates convicted of or undergoing trial for common crimes,” he said in a statement sent to the Mindanao Examiner. “These political prisoners have been long languishing inside jails and have experienced various injustices while in detention as they were heaped upon with criminal charges. It is for this reason that we are persistent in our demands for their immediate release,” he said. Ilagan cited the case of activist Rolando Pañamogan, who was unjustly charged and convicted with frustrated murder and is now detained in NBP, as among those who needs to be immediately released especially because he has been suffering from diabetes, deep toxic goiter, and congestive heart failure. He said Pañamogan is currently confined at the NBP Hospital due to lowered blood pressure as complications of his diabetes, where facilities and attending medical personnel are scarce. “Pañamogan and the rest of the 346 political prisoners deserve to be freed, after long years of incarceration and illegal detention,” Ilagan said. Ilagan also decried the government’s policy of political persecution against persons with different political beliefs and the filing of common criminal cases against political prisoners. “Filing common crimes against political offenders conveniently hides the political nature of the cases against political prisoners thereby hiding the systematic political persecution committed by the government against people who have different political beliefs and getting away with it; this practice must be stopped,” he said. BASILAN, Philippines (Mindanao Examiner / May 27, 2011) – At least 100 people were left homeless after a fire swept through a neighborhood in the southern Filipino province of Basilan, officials said on Friday. 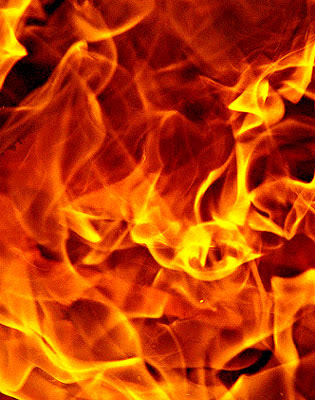 Officials said the fire broke out late Thursday on a house in Lamitan City and spread to neighbors. One person was injured in the fire that started from an unattended stove. 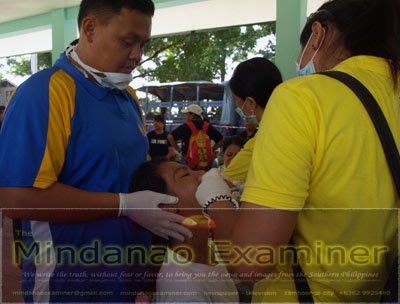 DAVAO CITY, Philippines (Mindanao Examiner / May 27, 2011) – More than 1,000 mostly mothers have benefited from a health fair that provided free various services in Davao City in the southern Philippines. More than 20 organizations put up booths that offered services for women and among them were the Alliance against AIDS in Mindanao, Talikala, Inc., LUNA Legal Resource Center for Women, Gabriela-Youth, Lawig Bubai, Catholics for RH, Integrated Gender and Development Division, Department of Health, Family Planning Organization of the Philippines. And also the National Statistical Coordination Board, the Office of Councilor Leah Librado, City Health Office, Women Studies and Resource Center, No to Coal Network, Tambayan, Inc., City Social Services Development Office, Development of People’s Foundation, Health Management and Research Group, Kaugmaon, Inc., IWAG-Davao, and the Brokenshire Women Center. Among the services during the Women’s Health Fair were HIV-AIDS (Human Immunodeficiency Virus – Acquired Immunodeficiency Syndrome) counseling, free legal consultation, basic information on sexually transmitted infections, information on the Women Development Code and various laws protecting women, referral services for legal cases, Botika ng Barangay, family planning counseling, counseling on mother and child health, book sale on various women studies, selling of herbal medicines and ornamental plants, free massage and acupuncture, free haircuts and blood pressure monitoring. 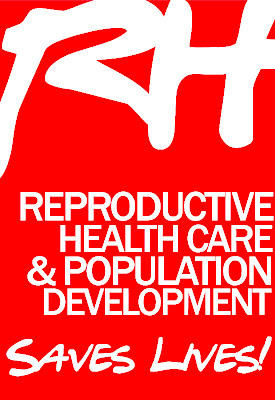 The fair, whose theme ‘Women’s Health Rights: From Womb to Tomb’ was held in commemoration of the International Day of Action on Women’s Health, according to the Reproductive Health Network in Davao City. “We saw how the women responded to the fair and they were so happy with the free services we offered and all information they learned about their rights and their health,” said Lyda Canson, convenor of the RH Network-Davao. 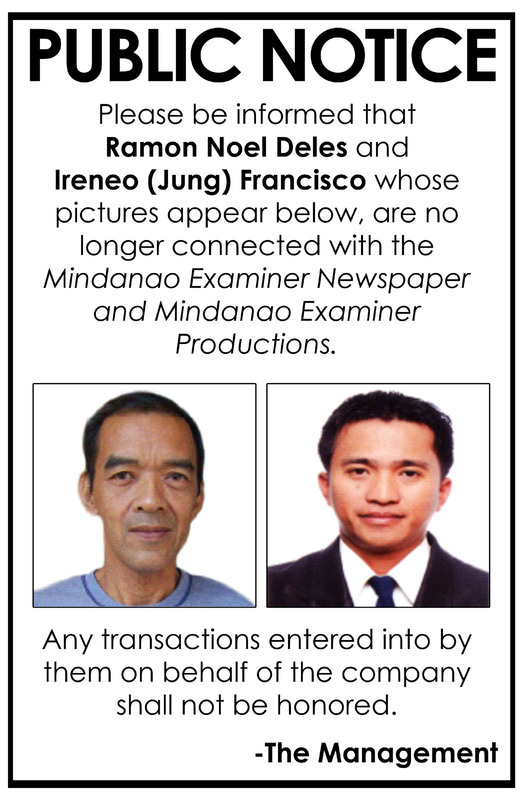 COTABATO CITY, Philippines (Mindanao Examiner / May 27, 2011) – Two government soldiers captured by communist rebels have been ordered released in the southern Philippines after their families appealed for mercy. The rebels said the prisoners, Corporal Delfin Largo Sarocam and Private First Class Jayson Burgos Valenzuela, were captured April 14 in North Cotabato’s President Roxas town. The two soldiers are members of the 57th Infantry Battalion sent to fight insurgents in Mindanao. “The release of POWs Sarocam and Valenzuela is ordered based on humanitarian grounds in consideration to the appeals made by their families for their release,” said Rigoberto Sanchez, a spokesman for the New People’s Army – Merardo Arce Command. He said the infantrymen were investigated for possible violations to human rights and international humanitarian law in the course of their combat operations against the rebel forces. “The custodial unit of the aforementioned POWs - the Herminio Alfonso Command-Guerilla Front 53 Operations Command of the NPA - is hereby directed to undertake safe and orderly release procedures. The date and place of the release shall be subject to their determination,” Sanchez said. The families of the soldiers earlier appealed to the military to call off operations to rescue the prisoners because it could jeopardize their safety in the hands of the rebels. They also sent a letter to the NPA to appeal for their early release. In the handwritten letter, the families thanked the NPA for taking care of the soldiers. 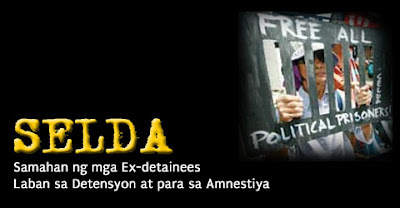 “The NPA understands the concerns of the prisoners of war’s families. Even as the AFP officialdom is more concerned with face-saving moves, the NPA continues with the processes pertinent to the POWs while cognizant of their and their families’ desires,” said Isabel Santiago, of the Herminio Alfonso Command Front 53 Operations Command. The National Grid Corporation of the Philippines, represented by Board Director and Chief Administrative Officer Anthony Almeda (3rd from left), is awarded by the Energy Regulatory Commission a certificate of authority as WESM Metering Services Provider. Also in photo (from left): ERC Commissioners Alejandro Barin, Maria Teresa A.R. Castaneda, Jose Reyes, NGCP Chief Executive Adviser Shan Shewu, ERC Chairperson Zenaida Ducut, NGCP Board Director Paul Sagayo, and Commissioner Rauf Tan. 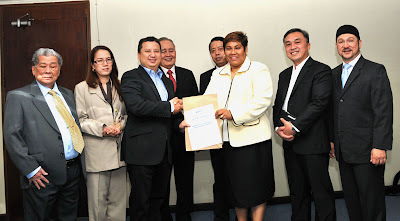 MANILA, Philippines (Mindanao Examiner / May 27, 2011) – The National Grid Corporation of the Philippines (NGCP) said Friday it was granted the authority to be a ‘Wholesale Electricity Spot Market Metering Services Provider’ in the country. It said Energy Regulatory Commission Chairperson Zenaida Ducut awarded the certificate of authority on May 23 to NGCP through its Board Director and Chief Administrative Officer Anthony Almeda. The certificate finalizes the provisional authority previously granted to NGCP as metering services provider. Provision, operation and maintenance of revenue metering facilities are utility functions that the National Transmission Corporation assumed from the National Power Corporation as mandated by R.A. 9136, or the Electric Power Industry Reform Act (EPIRA). NGCP, the private concessionaire of the transmission network since 2009, then became the de facto metering service provider of NPC and other energy suppliers for the purpose of billing their energy sales to their customers. Meter boxes, back-up meters, and revenue meters for substations are some of the metering structures that have already been replaced and enhanced. The Automated Meter Data Retrieval System is also in place to satisfy the requirement of the WESM for the daily delivery of load profile-type of meter data from all metering facilities. NGCP is now headed by Henry Sy, Jr. as its President and Chief Executive Officer. Sy also heads several corporations under the Sy Group of Companies, including SM Development Corporation which was recognized by the Asian Wall Street Journal as the 9th most admired corporation in the Philippines for 2010. He is the son and namesake of mall, retail, real estate, and banking magnate Henry Sy, Sr.
ZAMBOANGA SIBIGAY, Philippines - As the sun sets, the caretaker closes the wooden door of the building that served as the office of the indigenous peoples in the province in Simbol village here. Alone, he walks the grassy path towards the national highway for a ride home. He threw one more look at the building as the shadow of the setting sun grows longer. Silence engulfed the place literally when the indigenous peoples’ representative to the Sangguniang Panlalawigan (SP) Datu Wilfredo Sanggayan was “inhibited to assume office” October last year under the new administration of Governor Rommel Jalosjos. Sanggayan took office as member of the provincial board member of the previous administration of Governor George T. Hofer by virtue of Section 16 of Republic Act 8371, also known as the Indigenous Peoples Rights Act of 1997 (IPRA). Section 16 of IPRA provides that the indigenous cultural communities (ICCs)/ indigenous peoples (IPs) shall be provided mandatory representation in all policy making bodies and in local legislative councils and shall enjoy the same privileges as the regular members of the local legislative bodies. Last December, the indigenous peoples’ representative to the Sangguniang Bayan of this town was also “inhibited to assume office”. Timuay Libon Rosiana Adan assumed her office as municipal councilor in 2007. The building that was once bustling with activity now appears a sleeping elephant in the middle of the two-hectare lot owned by the Provincial Indigenous Peoples Organization (PIPO). The Unmaking Of History. The province made history when it implemented the mandatory representation of the indigenous peoples to the different legislative bodies and local councils in 2005. It was the first province in the country to implement Section 16 of Republic Act 8371, also known as the Indigenous Peoples Rights Act of 1997 (IPRA). Compostela Valley province followed its example. 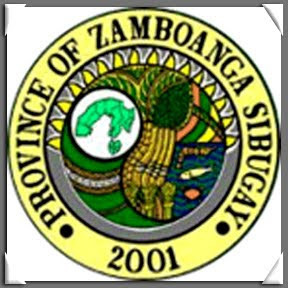 Datu Wilfredo Sanggayan was the first provincial board member to represent the indigenous peoples of Zamboanga Sibugay since 2005. The succeeding years saw some towns followed suit by allowing the representatives of the indigenous peoples to sit in their local councils. At least three of the 16 towns of the province followed the example set by the provincial government, namely: Kabasalan, Ipil and Naga. Fourteen of the 16 towns of the province are identified as presently inhabited by a sizeable population of indigenous peoples. Few months after the 2010 elections, however, things turned out differently. In its September 20, 2010 session, the provincial board passes a resolution “to inhibit Honorable Wilfredo Sanggayan from assuming the office of the IP representative until such time the legitimacy of his selection shall have been resolved by the Committee of the Whole”. Resolution No. 4038-2010 of the provincial board stated that “there is now pending in the Committee of the Whole… an issue on the legitimacy on the assumption of office” of the indigenous peoples’ representative. Board member Wilborne S. Danda, also a Subanen and cousin of the Sanggayan, questioned before the provincial board the process by which Sanggayan was chosen as representative of the lumads. “There is nothing personal here but I am questioning how he (Sanggayan) was chosen by the lumads in the province,” Danda said. Sanggayan went to court to question the resolution inhibiting him from assuming the office of IP representative but was denied due to lack of jurisdiction. To No Avail. Despite of the certifications issued by the National Commission on Indigenous Peoples (NCIP) and the Department of Interior and Local Government (DILG) affirming and recognizing the process of selection of both Sanggayan and Adan by their respective communities, but to no avail. The same opinion was echoed by the members of the Sangguniang Bayan of Kabasalan on Adan’s selection. The municipal council in its resolution said it will continue to inhibit Adan “pending completion of the necessary documents” showing the legitimacy of the process of her selection. “You blindly obey the one leading you now when you do not know what is happening,” he said, in an apparent swipe at the leadership of Sanggayan in the PIPO. He vaguely hinted that millions of pesos have been disbursed by the provincial government to PIPO that still needs to be looked into. Open Book. Sanggayan is however open to any kind of investigation on the disbursement of funds made by the provincial government to PIPO.“We have nothing to hide here,” the provincial tribal chief pointedly said. Traditionally, the EDF of the local government units does not have specific allocations for indigenous peoples. The EDF is an allocation from the Internal Revenue Allotment (IRA) intended for programs and services that will spur economic development. “We do not simply sit there in the provincial board but we work hard to fulfill the intent of both letter and spirit of the law,” the 57-year-old tribal leader said. Lost In Translation? There may be a fine thread that delineates between the spirit and letter of the law governing the mandatory representation of the indigenous peoples to local legislative bodies. Councilor Jose M. Cinco, Jr., the floor leader of the local council of Kabasalan, asserted that the decision to inhibit Adan was made in good faith in order to protect the interest of the local government. “The administrative order of 2009 talk of indigenous cultural communities or ICCs but the town is not only populated by Subanen but also of other ethnic groups,” the councilor said. Lawyer Roman Muyargas, the hearing officer of the regional office of NCIP, however explained that although the law speaks of ICCs but the fact remains that the law still requires “mandatory representation of the IPs to the local legislative bodies in proportionate to their population”. “The law is very clear when it stipulated that this mandatory representation be implemented in local government units where there are indigenous peoples residing,” he added. He said: “It all started when the new administration of (Gov. Rommel) Jalosjos took over from the previous administration.” The 15 out of 16 incumbent municipal mayors of the province are politically aligned with the new governor. The PIPO is closely identified with former Gov. George T. Hofer and was known to have supported the gubernatorial bid of his daughter, the then Rep. Dulce Ann Hofer against Jalosjos. “We threw our support to the former administration last elections as a gesture of our gratitude for their untiring support to all projects and programs of the indigenous peoples,” Sanggayan explained. The indigenous peoples’ representative in Kabasalan also joined Sanggayan in supporting Hofer last elections. For Sanggayan and the tribal leaders of PIPO, the “color is politics behind the move to stop the lumad representation” – a claim denied by most of the local chief executives. The same opinion was voiced out by Kabasalan municipal vice mayor Freddie Chu when he said that “ma’am Adan must address first the issue of the legitimacy of the process of selection because it is the issue and not because of politics.” Chu ran under Jalosjos’ political party as vice mayor after serving three consecutive terms as mayor. NCIP Director Cresensio Patnaan, however, acknowledged in a text message the problem arises when the sitting chief executive does not give support to the indigenous peoples’ representative. He urged the concerned tribal leaders to bring the issue to the NCIP for “whatever aid we can provide to settle the issue.” He did not elaborate. In the meantime, the voices of the indigenous peoples in the halls of legislative bodies of the province remain silent. For the ageing caretaker of the PIPO office, he has to contend the humdrum of daily task hoping that the place will come alive after all these issues will be resolved. VISAYAS - Si Bureau of Customs Commissioner Angelito Alvarez nideklara nga iyang himoon ang smuggling nga walay ginansya nga negosyo ingon sa ang ahensya nipadayon sa ilang pakigbatok sa smuggling activities nga nikawat sa binilyon nga kinitaan sa nasud. Sa gipahigayon nga Communications New Exchange sa Philippine Information Agency, si Alvarez nagkanayon nga samtang dili siya makasiguro nga mawagtang sa dayon ang korapsyon sa BOC, siya nagtinguha nga sigurohon nga ang mga smugglers dili na makahimo ug negosyo pag-usab o kon dili, ilang makita nga hugot ang lagda sa customs nga ang smuggling dili na maginansyahon. Iyang giingon nga iyang siguraduhon nga apil ang puhunan sa mga smugglers mahurot ug ilang gukdon ug pasakaan kutob sa gilapdon sa balaod. Si Alvarez nibutyag nga aduna nay 35 ka kaso sa smuggling ang nasang-at, ug 25 nini paibabaw pa sa resolusyon ug usa ka kaso ang nakonbikto. Mokabat ug P25M ang mabuhisan niini nga mga kaso. Ang smuggling mahitabo sa daghang porma pinaagi sa under declaration, undervaluation ug misclassification. Sa niaging duha ka semana, ang opisyales sa custom nakasakmit ug 161 ka ulo sa gipreserba nga hawksbill ug green turtles, mokabat sa 21,000 ka piraso nga black corals, kapin sa 7,300 nga piraso sa seashells ug 196 ka kilo sa seawhips. Sumala ni Alvarez, ang wildlife contraband adunay gibana-bana nga kantidad nga di momenes P35M. 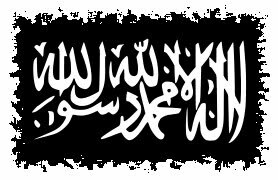 COTABATO CITY, Philippines (Mindanao Examiner / May 26, 2011) – The Commission on Elections has released the list of those who are running for this year’s elections in the Autonomous Region in Muslim Mindanao, the government media said on Thursday. According to the Philippine Information Agency, those who filed their candidacy for the ARMM gubernatorial post were Ashmaira Abdullah, Lanao del Sur Gov. Mamintal Adiong Jr, who is also the elder brother of the current ARMM acting regional governor Ansarrudin Adiong – now running as his regional vice governor; Saad Amate, Ephraim Delfino, Mujiv Hataman, Alvarez Isnaji, Ansaroden Lucman Moner, Pakung Mangudadatu, Kadra Masihul, Datu Habib Maulana, Elsie Orejudos, Saidamen Pangarungan and Sahiron Salem. And the candidates for vice-governor are former Tarlac province governor and aunt of President Aquino, the socialite Margarita Cojuangco, Fatani Maik, Mikunug Ampao, Arab Ampaso, Shariffa Bago, Datu Pelaez Carudin, Bobby Datimbang, Alikhan Dimaro, Gani Gaddung, Abdulbassit Hadjinor, Omar Hassiman, Bashier Manalao, Kano Nor, Marconi Paiso and Abdusakur Tan ll. It was unknown why the elder Adiong decided to run for ARMM governor, but even if he lost in the elections, he would still be able to continue his term as governor of Lanao del Sur. Adiong’s younger brother Ansarrudin is less popular among many Muslims in the ARMM, but they belong to a wealthy and influential clan in Mindanao who are political allies of the Ampatuan clan - whose patriarch Andal Sr and his sons Andal Jr and Zaldy Ampatuan, the ARMM governor, - are in jail and being accused as behind the massacre of 57 people in 2009 in Maguindanao province in the country’s worst political killings. Elections are set on August 8, but President Benigno Aquino III wanted the polls postponed and to synchronize it with the local and national elections in 2013 to prevent cheating and fraud. 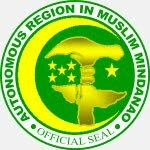 The four provincial governors in ARMM - Sakur Tan of Sulu; Jum Akbar of Basilan, Sadikul Sahali of Tawi-Tawi and Esmael Mangudadatu of Maguindanao – have signed a manifesto supporting Aquino, who has certified as urgent the House Bill 414 which calls for the postponement of the polls and synchronizing it to the mid-term elections in 2013. QUEZON CITY, Philippine (Mindanao Examiner / May 26, 2011) Hundreds of lesbian, gay, bisexual, and transgender (LGBT) activists and their allies are set to mark the traditional Flores de Mayo parade in the Philippines with serious calls for justice and equality for their sector. Dubbed the "Kagandahan, Kalusugan at Karapatan Florez De Mayo Pride 2011," the summer festival held in honor of the season's flowers will be unveiled on Sunday. This year's event will be hosted by the village of Pinyahan in Quezon City, regarded as the most gay-friendly metropolis in this conservative Catholic nation. "During this Florez de Mayo, we are pressing the government to act decisively to stop the extrajudicial killings of LGBTs and pass the Anti-Discrimination Act so the country's queers can enjoy life of equality without fear of violence and death," said Rev. Ceejay Agbayani, the head pastor of the Metropolitan Community Church and the event main organizer. 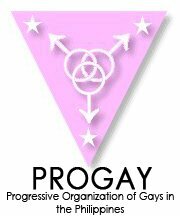 The militant advocates of ProGay Philippines are joining the FlorEZ de Mayo to push for the Anti-Discrimination Act of 2010 or House Bill 1483, a proposal filed in Congress by Bayan Muna Rep. Teddy Casino with the aim of banning discriminatory acts against LGBT residents in the workplace, schools and government offices. Also causing grave concern among human rights workers is the spate of unexplained cruel deaths of largely transgender people in the past decade. The Hate Crimes Watch, an alliance of activists monitoring hate-motivated murders of LGBT in the country, revealed that ten LGBTs died in hatred-linked circumstances this early half of the year, compared to 14 reports for the entire 2010. Gay rights activists have suddenly figured in the debate when Dionisia, the famous mother of anti-RH advocate and boxing champion Rep. Manny Pacquiao, criticized transgenders for consuming oral contraceptives. Many of the parade participants promise to come in provocatively inspired evening gowns and bamboo arches that blend Filipiniana fashion with political calls for gay rights and reproductive health advocacy. The Roman Catholic church leadership has repeatedly expressed disapproval of traditional parades such as the Santacruzan and Sagala being redesigned by local communities to highlight homosexuals and transgenders as the star attractions. LB Supermarket sa Zamboanga City, inireklamo! ZAMBOANGA CITY (Mindanao Examiner / May 25, 2011) – Isang customer ng LB Supermarket sa Zamboanga City ang nagreklamo dahil sa diumano’y ‘unfair trade practice’ matapos na biglang palitan nito ang presyo ng biniling manok habang binabayaran sa counter kaninang hapon. Sinabi ng biktima na bumili ito ng mga grocery items at limang piraso ng malalaking manok ng ‘Hermosa’ sa halagang P115 bawat kilo na ayon sa mga presyo ng dalawang kumpanya – ang isa ay Bounty Fresh - sa naturang supermarket. Ngunit napuna nito na ang presyo ng manok na sinisingil ng kahera sa Counter 10 ay P117.75 bawa’t kilo kung kaya’t sinabihan pa nito ang babaeng kahera na P115 lamang ang presyong nakapaskil sa freezer at agad naman itong ipinatanong sa nagbabantay doon. 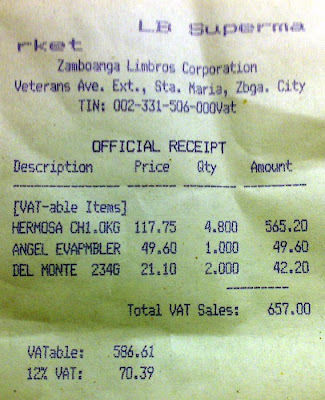 Subalit laking gulat ng customer ng bumalik matapos ng ilang minuto ang inutusang bagger ng kahera at sinabing P117.75 na ang presyo ng kada-kilo ng manok. At ng balikan ng customer ang pinagkunan ng manok ay nagulantang ito dahil nawala na at tinanggal ng nakabantay doon ang price tags sa dalawang freezers ng ‘Hermosa’ at ‘Bounty Fresh’ at sabay sabing “biglang kasing nagtaas ang presyo ng manok” na tila stock exchange sa Makati City ang bilis ng palitan ng presyo na naganap lamang sa loob ng 3 minuto. Itinago pa ng bantay ang tinanggal nitong price tags at sabay upo sa kanyang mesa sa isang sulok. Maging ang mga supervisor sa mga counters ay nagulat rin sa biglang pagtanggal ng presyo upang palitan agad ito sa mas mataas na halaga. Idudulog umano ng biktima ang kanyang reklamo rin sa Department of Trade and Industry upang mabigyan ng proteksyon ang iba pang mabibiktima ng maling gawain. Sinabi pa nitong bagamat hindi naman malaking halaga ang ipinaglalaban nito ay ang panloloko umano sa mga customer ang dapat tugunan ng malaking supermarket. Ipinakita rin nito ang resibo ng mga pinamili at nagbigay pa ng litrato nitong kuha lamang sa kanyang cell phone camera.Hindi naman nagbigay ng pahayag ang pamunuan ng supermarket sa naturang akusasyon. MANILA, Philippines (Mindanao Examiner / May 26, 2011) - Cebu Pacific has announced on Wednesday a seat sale from Manila and Cebu to popular tourist destinations in the Philippines such as Boracay (Caticlan), Siargao, Bohol, and Palawan from May 26 to 29 or until seats last. 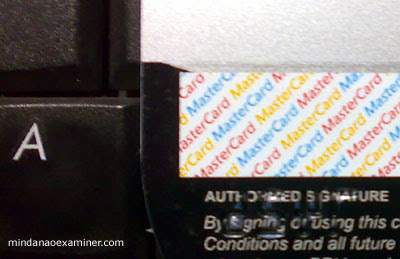 This is for travel from July 1- September 30, 2011, it added. It said passengers can buy P555 seats from Manila to Kalibo or Tacloban, and from Cebu to Clark or Siargao. They can also avail of P777 seats from Manila to Dumaguete, Puerto Princesa, or Tagbilaran, as well as from Cebu to Puerto Princesa. Flights from Manila and Cebu to Boracay are also on sale for P888. “To further boost tourism to the country, CEB is also holding a seat sale to and from Japan, Indonesia and Brunei. We hope both local and foreign travelers can avail of this seat sale and book their flights in advance,” Cebu Pacific Vice President for Marketing and Distribution, Candice Iyog said in a statement sent to the Mindanao Examiner. She said those coming from Brunei can buy P1,499 seats to Manila, while those coming from Jakarta and Osaka can avail of P2,999 seats to Manila. “We encourage everyone to enjoy the most popular Philippine destinations on Cebu Pacific’s low fares. The airline offers the most extensive route network within the Philippines, and to the ASEAN region,” she said. Iyog said guests who do not have credit cards may also book online and conveniently pay through Cebu Pacific partner banks and payment centers. Upon booking online, travelers can also select seats in advance and avail of the airline’s web check-in service for a faster check-in process. DAVAO CITY, Philippines (Mindanao Examiner / May 25, 2011) – A Filipino environment group called No To Coal which is strongly opposing the planned coal-fired power plant in Davao City in Mindanao has called on local leaders to conduct an impartial and independent energy audit after power firm Aboitiz claimed that there is a looming energy crisis in the region. Aboitiz Power Corporation is also proposing to put up a coal power station in Davao City. 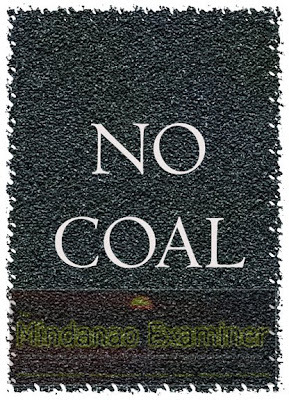 No To Coal, an acronym for ‘Network Opposed to Coal-Fired Power Plants’ said it has four reasons why the proposal should be flatly rejected. It said there is no scientific and valid data on the Aboitiz Power Corporation's claim of 'looming energy crisis' because no reliable energy audit to evaluate the status of power and the efficiency in energy utilization has been conducted. The group also challenged the Davao City Council to facilitate the conduct of an impartial, independent, multi-stakeholder, and participatory energy audit and planning. 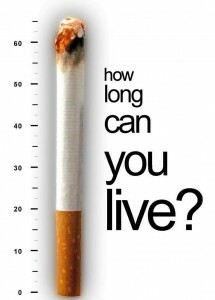 “Why is it that the city council is reluctant to our challenge? Who is afraid of transparency?” asked Francis Morales, Secretary-General of the Panalipdan-Southern Mindanao and convener of No To Coal in Davao City. “Our group has already told the city councilors that through an energy audit we will know which industry will benefit from the coal plant proposed by Aboitiz. The current Mindanao Business Council chairperson has said that those mining corporations need the plant because they need at least 1,000 mega-watts of power that will start their full-blown operations by 2014." "Now, Aboitiz Power Corporation is in a haste to build the coal plant so that it can start its operations by 2014. It is very clear to us that the coal plant is not for the people’s need. It is for foreign and destructive mining operations. Hence, not in our name,” he added. “Do we want to further pollute and destroy our water resources, climate, biodiversity, and people's health just to supply the power needs of large-scale and destructive mining and for corporate elite's greediness?,” Morales asked. NO TO COAL also criticized Aboitiz for asking an endorsement of approval of the proposed power plant from the Davao City Council despite the fact that the Environmental Impact Assessment has not been completed yet. The group said Davao City has a Zoning Ordinance, a policy for appropriate land use management and planning and that the site of the proposed power station in the village of Binugao is only for agriculture and small and medium industries. “The power plant is a heavy industry under Philippine EIA law. Hence, it should not be built in Binugao in the first place since it deviates from the local policy on land use management,” Morales said. He said his group has challenged Aboitiz to a public debate over the proposal to build a coal-fired power plant and its damaging effects to the environment and human health. “We are challenging Aboitiz to a public debate and let the people do the informed decision because the City Council has no moral ascendancy to decide on our behalf since the political process, the governance, has been already been tainted,” Morales said. Davao City Mayor Sarah Duterte and her father, Vice Mayor Rodrigo Duterte, are both supportive of the proposed power plant. And so are most of the city councilors who inspected this year a coal power plant operated by Steag State Power Incorporated, where Aboitiz has a stake, in Misamis Oriental province. The visit to the plant showed the officials the operation of the power station. MARAWI CITY, Philippines (Mindanao Examiner / May 24, 2011) – “This is a gathering of great minds,” this was the impression Professor Dr Mary Joyce Sali to the 1st Epistemology workshop held in the Islamic City of Marawi in the southern Philippines. The two-day workshop, organized by the Mindanao State University and International Institute of Islamic Thought, ended on Monday with fresh insights from well-respected Muslim speakers who are scholars from the Philippines and Malaysia. They presented their papers on various issues about Islam and other intellectual fields. Professor Sali, who is the director of the Institutional Research and Evaluation Office of the Mindanao State University, said the theme of the seminar “Response of Muslim Intellectuals to Modern Knowledge,” was well-timed in today’s modern world. “It is very important for us to understand how we can respond to the modern knowledge with Islam as the basis of all these,” she said. The seminar opened with recital of Qur'an verses by Ustadz Abdulbasit Imam and was followed by the singing of the Philippine and Malaysian national anthems. Mindanao State University President Dr Macapado Muslim in his opening remarks said in pursuing higher knowledge, one must be guided with important aspects to remember – firstly is to follow Allah's mandate strictly in its observance: politically, economically, spiritually, and emotionally; and secondly is to follow the good knowledge of Islam and thirdly is to develop oneself in accordance with the essence of Islam and to correct distorted Islamic beliefs and practices. “I believe that studying the essence Islamization of social sciences should be continued for evaluation, like bad things must be studied to re-assess its effect to human beings; learn the bad things to prevent what is bad and this can be done through academic theorizing to re-validate its effectiveness,” he said. In his paper, he concluded that Epistemology is a big domain of inquiry and that it is a well established science in Islamic intellectual tradition. “We need to revive this science and re-apply its principles to the contemporary knowledge of culture. We are facing the field of higher education, particularly that requires large input from Islamic epistemology for solutions. How we organize our university curriculum, for example, and how we teach the different sciences and academic disciplines are clearly influenced by the kind of epistemologies we have adopted,” he said. Professor Lingga suggested that the secular and religious educated intellectuals must be encourage to work together in pursuing the Islamization of knowledge and train teachers on Islamic epistemology and its application in teaching their respective discipline. He said there is a need to conduct training on research methodology on Islamization of knowledge and to encourage and fund researches on Islamization of knowledge. One participant to the seminar also pointed out in remarks made by Professor Yasmin Lao, president of Al Mujadilah Development Foundation, that there is a need to promote and understand the duties and obligations of women on social justices, peace and economic including politics. In his conclusion, he said the possibilities of introducing Islamic Education in the secular and westernized Philippine Education System are greater in non-formal and informal education that in formal education. MANILA, Philippines (Mindanao Examiner / May 24, 2011) - Cebu Pacific on Tuesday said it expects a 16% passenger growth this month because of increases in both its domestic and international operations. It earlier announced that it flew more than one million passengers in April, a first for any Philippine carrier and also also posted 15.9% passenger growth for that month compared to the same period in 2010. From May 1-15, Cebu Pacific posted a 19% year-on-year passenger growth compared to the same period last year and international traffic is up 22%, while domestic traffic also increased by 18% for this period. “Despite spiraling oil prices, this summer period indicates a very strong traffic performance. We broke several records in April, and foresee even better performance this May. We are grateful to Cebu Pacific passengers for their support, as this is an achievement given the present rising fuel costs,” Candice Iyog, Cebu Pacific Vice President for Marketing and Distribution, said in a statement to the regional newspaper Mindanao Examiner. “Cebu Pacific continues offering the lowest fares in all the routes it operates, for its 33 domestic and 16 international destinations. We are glad to provide every Juan more convenient and more affordable travel options,” she added. She said Cebu Pacific fuel surcharges are 60% lower for international flights compared to Philippine Air Lines (PAL). It also has the lowest fuel surcharge in majority of domestic routes commonly operated by PAL, AirPhil Express, and Zest Air. Cebu Pacific is the Philippines' largest national flag carrier.